Hankering to start your own business? 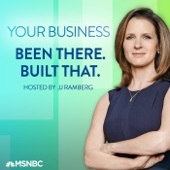 Listen to JJ Ramberg (MSNBC) interview the most successful business owners from companies like MailChimp, DryBar and Zillow on her podcast, Been There Built That. Download for free from TuneIn or wherever you get your podcasts.